diagnostic use) at home and in clinical settings for checking sugar level in the body. The results you get from our test system can help you and your healthcare professionals monitor and adjust your treatment plan to control your diabetes better. 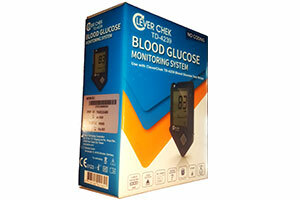 The new CLEVERCHEK Gluco meter Model-TD4239 has the latest technology and the unique features giving best accuracy ever for better diagnosis of sugar level and better health care for home and clinical use.